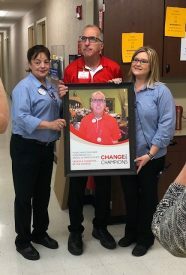 During July, Jewel-Osco is relaunching its annual at-register fundraising campaign through the “Making Change” donation program called “Change for Champions” to support the athletes of Special Olympics Illinois. The promotion runs July 1-31 at 183 Jewel-Osco locations throughout Illinois, where customers will be encouraged to make a $1, $3, or $5 donation during checkout. This year’s “Change for Champions” campaign ambassador features Special Olympics Illinois Athlete Michael McLaughlin. Michael, who is also a Jewel-Osco employee in Elmhurst, has enjoyed an illustrious career with Special Olympics, participating since 1982. He competes in a variety of sports, such as basketball, softball and volleyball. While his accomplishments in sport and medal collection are impressive, Michael’s successes extend well beyond the field of competition. Michael is a Special Olympics Global Messenger, championing the efforts for individuals with intellectual disabilities to build a more inclusive world. In addition to his efforts with Special Olympics, Michael attributes his personal growth and successes to his nearly 20-year career as an employee of Jewel-Osco. In addition to the “Change for Champions” campaign, Jewel-Osco is the presenting sponsor for the 13th Annual Windy City Rubber Ducky Derby. This event has become a favorite Chicago summertime event, which generates nearly $350,000 for the athletes of Special Olympics Illinois. Nearly 60,000 rubber ducks are “adopted” through this event, where donors’ ducks will race to the finish line for a variety of prizes. To learn more about this event, visit www.duckrace.com/chicago. 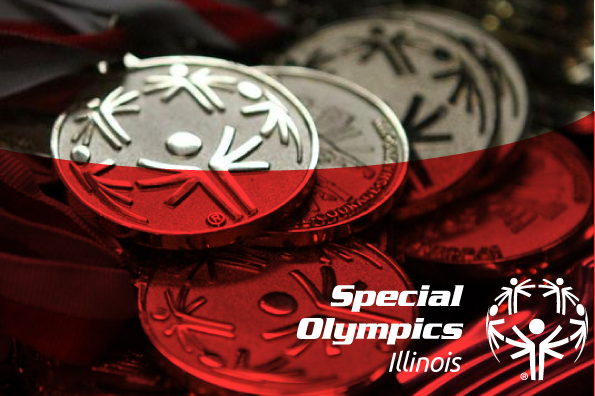 This June, Jewel-Osco also sponsored the Special Olympics State Summer Games in Bloomington-Normal, where more than 4,100 athletes competed over three days in track and field, aquatics, gymnastics, powerlifting, soccer, and bocce.